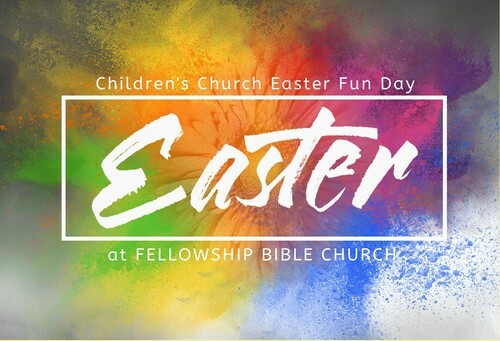 Fellowship Bible Children's Church invites all kids 12 and under to join us for a special Easter celebration! We will have a puppet show, egg hunt (bring your own basket) and more fun... a big party to celebrate that Jesus is alive! A complimentary light brunch will be served between church services at 9:45am. Let us know in the Comments if you will be joining us for brunch and if you want to receive a souvenir digital photo of your child at the photo booth.